The importance of live bait cannot be stressed enough. Rarely does anything out fish well-presented locally caught live bait. “Time is money” as they say. Spending time in the early morning chasing bait goes against the strong urge to run out to your spot and start fishing. 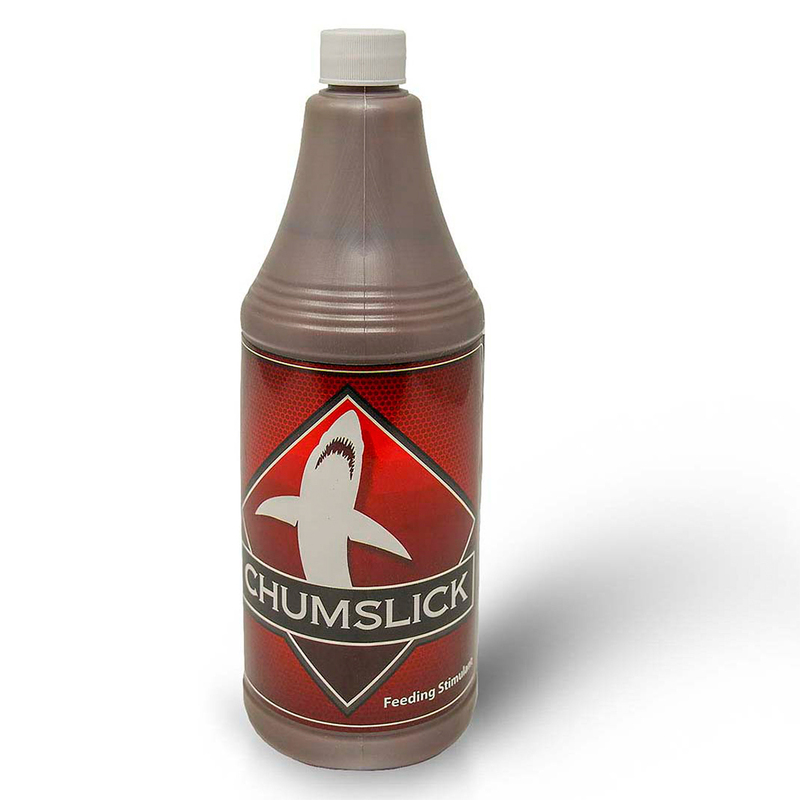 The faster you can “Make Bait”… the faster you can go fishing. 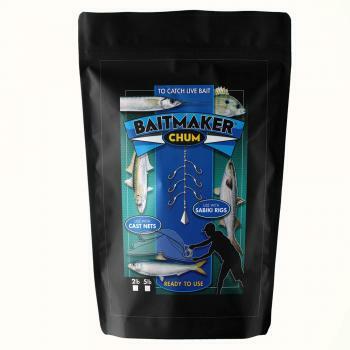 Baitmaker is a moist product that is thrown to attract and concentrate bait-fish to your location. Concentrated schools of bait-fish are easier to throw a cast net on. In deep water, schools of bait-fish can be gathered with Baitmaker and caught with a Sabiki rig. 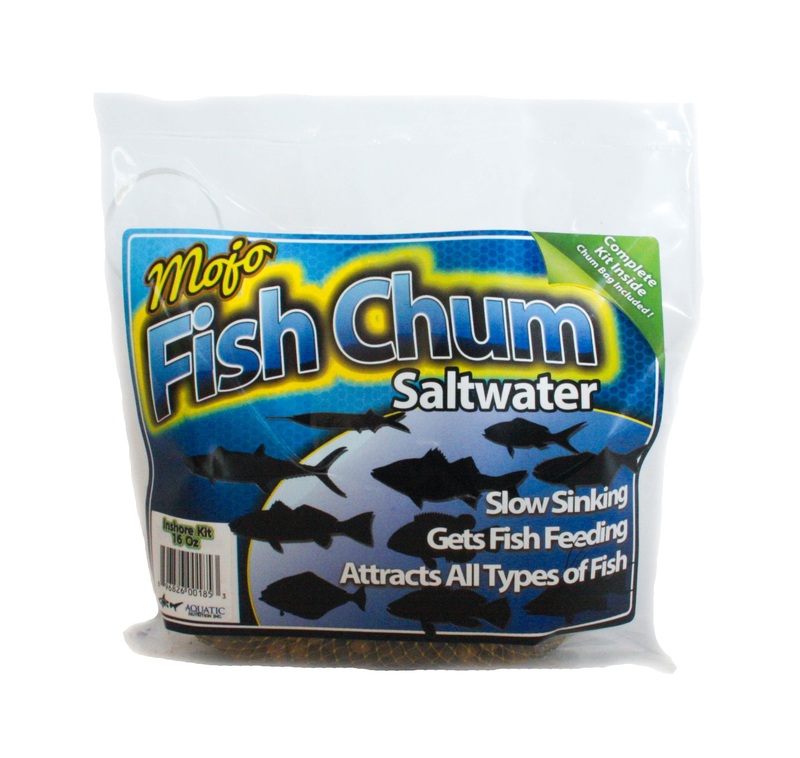 To Use: Grab a handful of Baitmaker, squeeze it slightly and throw it to the desired location. 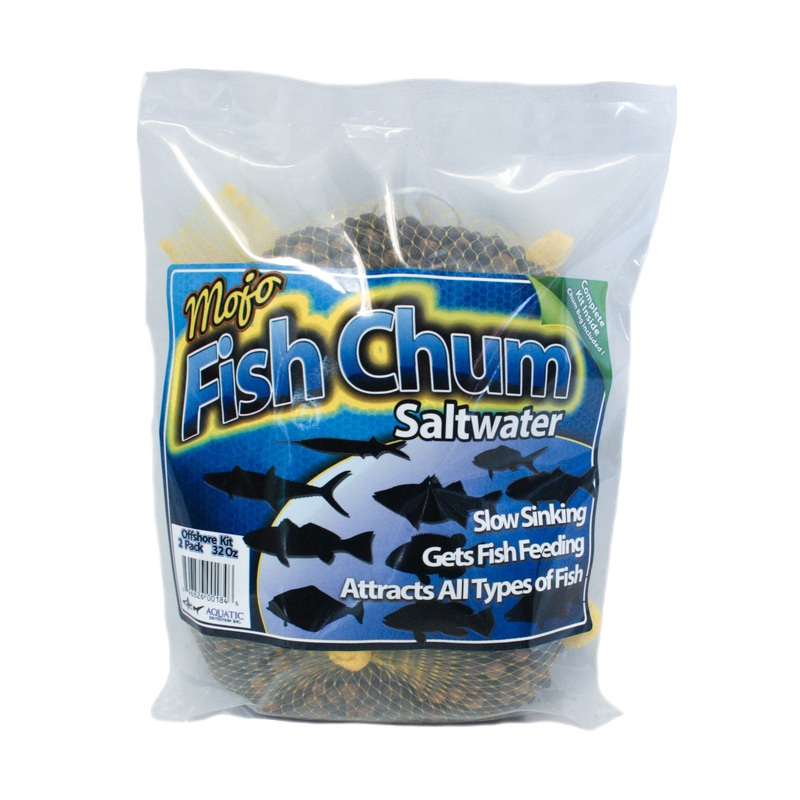 Baitmaker will disperse throughout the water column and attract a variety of species from down current. Baitmaker sticks together when squeezed and allows you to place it where you want regardless of wind speed. No more getting covered with fine powder. Pinfish and Grunts are found in shallow grass flats from shore and out many miles. Look for areas with some tidal current. Throw a ball of Baitmaker and wait 5 minutes for the fish to gather. Throw a cast net or use a rod with a Sabiki rig to fill the live-well. Pilchards, Greenbacks, Threadfins are also found in shallow coastal water near grass flats. Look for these fish “dimpling” or “rippling” the water in the early mornings or late afternoon. A good pair of polarized glasses will allow you to see their silhouettes against the sand bottom. The first throw of the net is the most important and sometimes all that is needed to fill or “blackout” the live-well, these type of bait-fish become wary after multiple catch attempts. 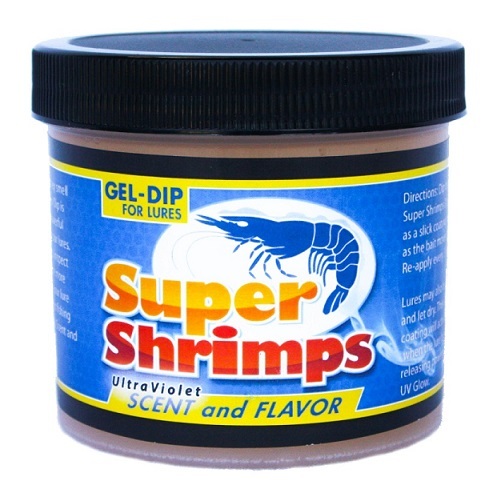 Scad, Goggleyes, Sardines, and other baits can be found in deeper waters offshore. They congregate around natural and artificial structures. Buoys, artificial reefs, and natural bottom structure all will hold bait-fish. 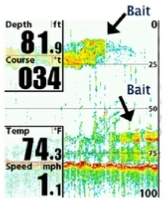 Look for showings on your fish finder as clouds of color near bottom or balled up suspended under your boat. Drop Baitmaker over the side and jig your Sabiki at the depths shown on your finder. Once you hook one, allow the rig to sit still while the hooked bait struggles, this will attract more fish to the Sabiki. Do not jig the Sabiki rig up and down once a fish is hooked as it will cause severe tangles. A steady retrieve will bring the baits to your boat and live-well. Ballyhoo Are the “go to” bait of South Florida. Almost everything eats Ballyhoo. 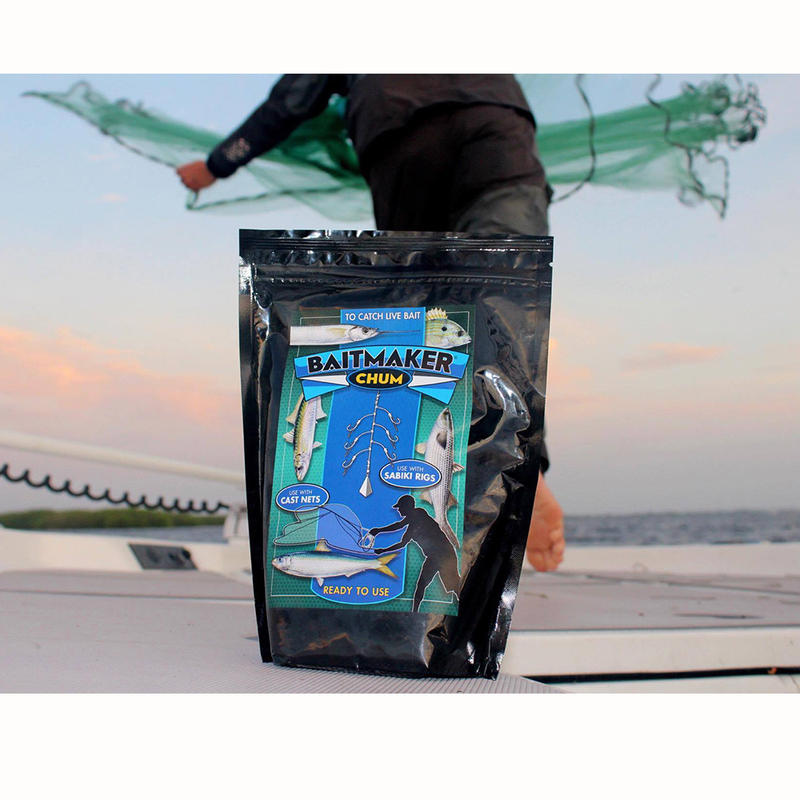 When anchored a few miles offshore, a steady flow of Baitmaker will bring and hold ballyhoo at the back of the boat. 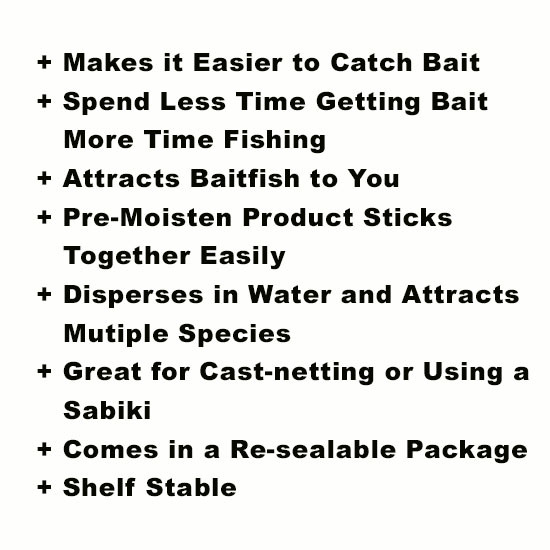 Toss out a small handful of Baitmaker and as the Ballyhoo bunch up to eat, throw the cast net and fill the live-well. Another technique is to catch them hook and line. A number 14 gold hook suspended 12 inches below a bobber and a small piece of squid or shrimp will catch them quickly. 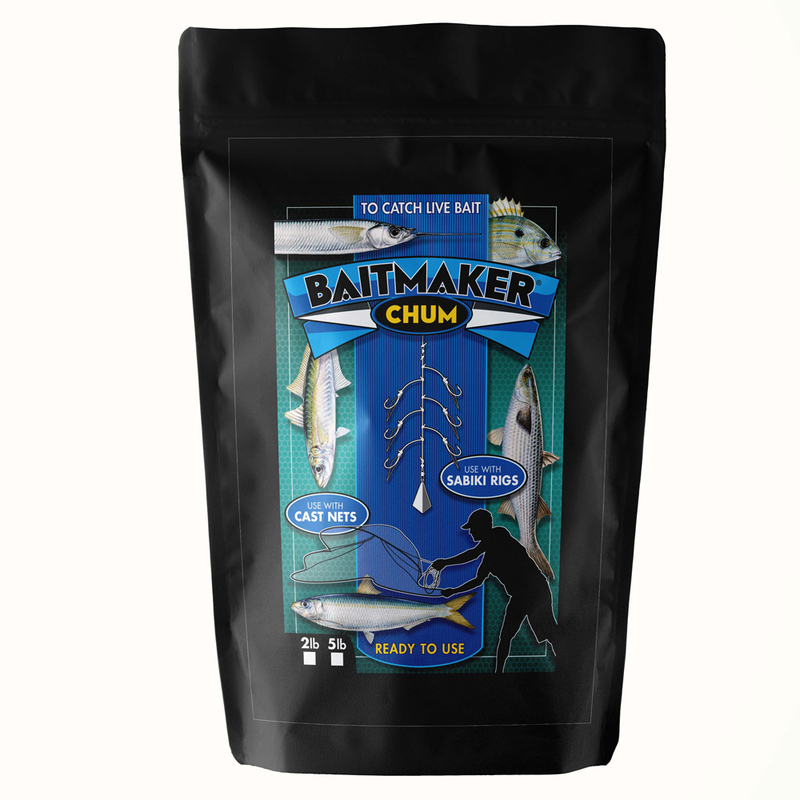 Baitmaker will hold bait close to your boat. A constant small tickle of Baitmaker will help hold them close. Anchoring will typically increase your success catching bait. “Making Bait“ or catching bait can be the difference between success and failure. Time and materials spent can be worth every penny. 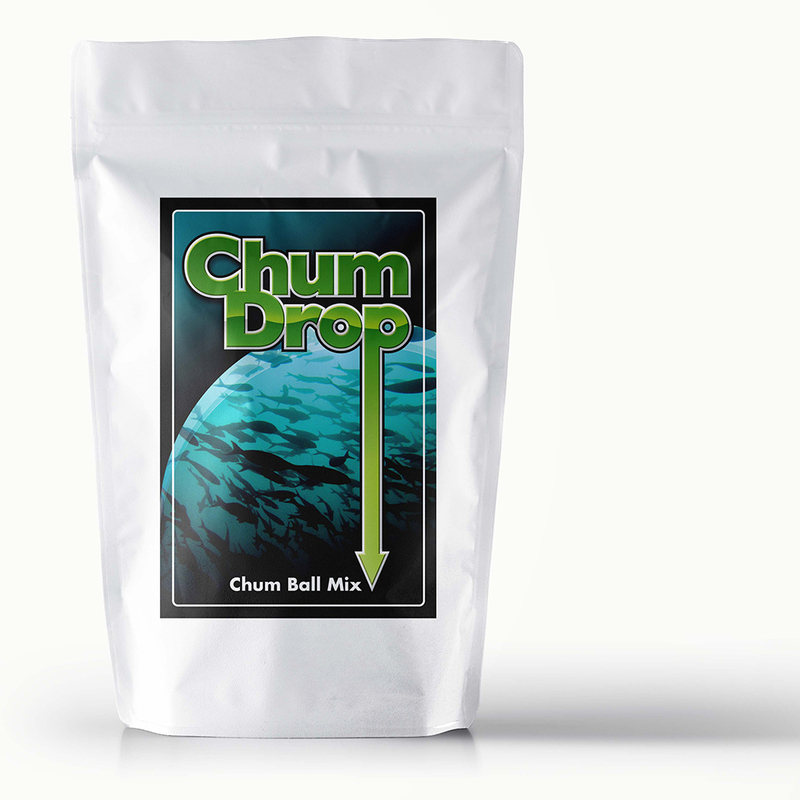 Baitmaker saves time and money.